The academic abilities of our students rose exponentially the day Karen Burnett arrived to teach biology and environmental science at Sheridan High School. For the six years she has been with the high school, she has continued to raise the bar in her classroom. The success of her students has been astounding. Her students achieve higher scores on their Advanced Placement exams than both the state and global averages. This is significant, because when students earn qualifying scores on these exams, they receive college credit, saving them and their parents both time and thousands of dollars in college expenses. Mrs. Burnett is a major reason our AP program has been so successful in recent years. Mrs. Burnett has certainly accomplished this goal. 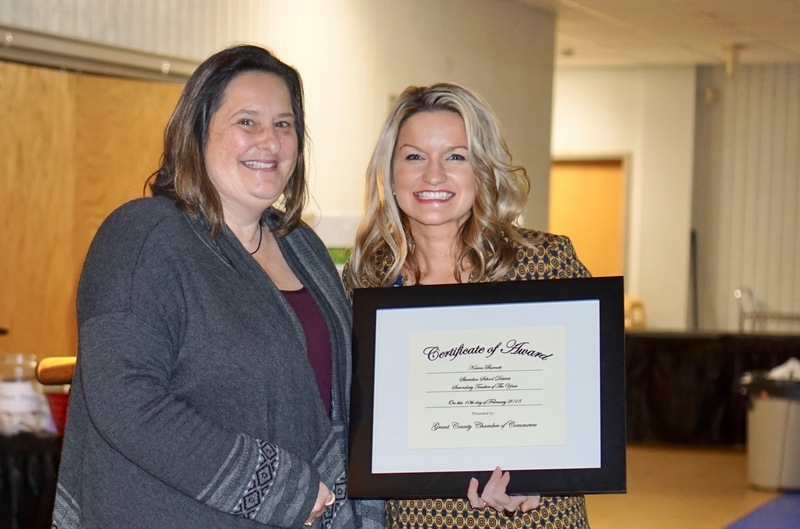 The impact she has on her students is undeniable, as evidenced by the number of students who present her with Life Impact awards at the end of each school year.